Everyday Humans Ask: What’s Roller Derby? 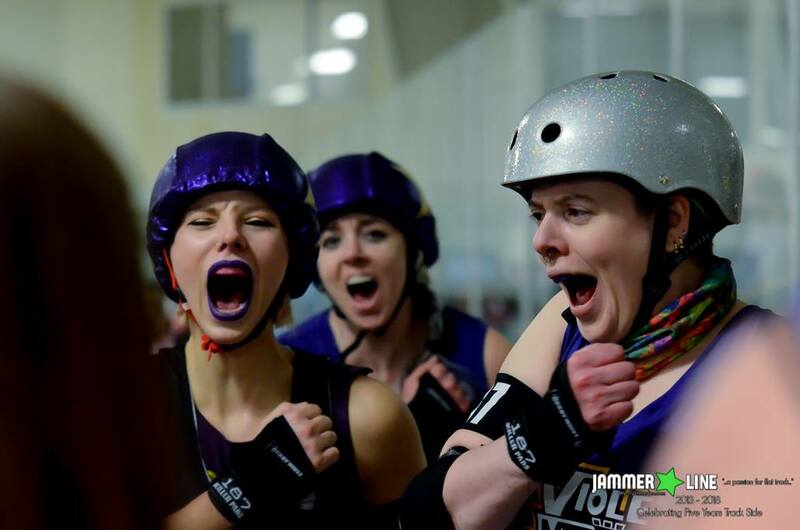 Roller derby has evolved rapidly as a sport since its resurgence in the early 2000s, and what this tends to mean is that its public image ends up a little skewed. Have you ever re-watched a movie for the first time in years, and experienced the uncomfortable realisation that a lot of the content is dated/problematic? That feeling of mild second-hand embarrassment translates (fairly) accurately to the experience of your average derby human any time there is talk of “Past!Derby” (Whip It circa 2009, I’m looking at you). 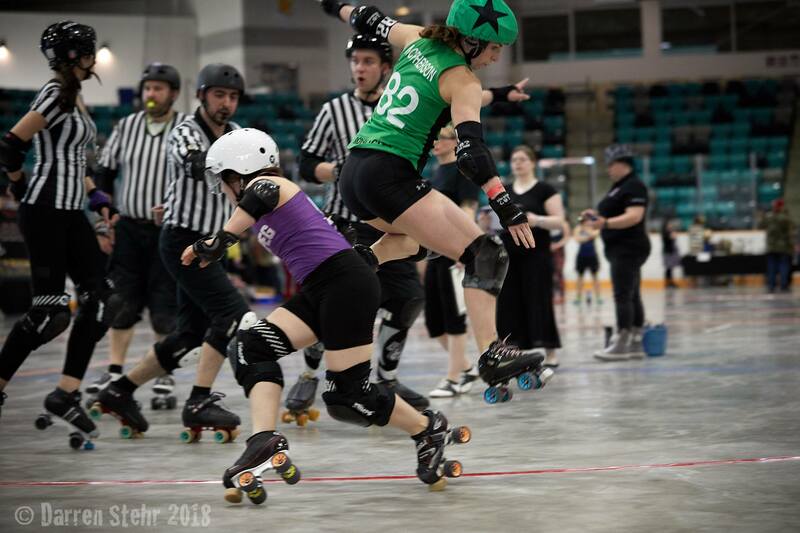 We’re all very grateful for the tangible evidence of progress, but if more than a few years has passed since you’ve 1) seen a derby game firsthand 2) heard anything about roller derby in general, the odds are, you may have some misconceptions. For our inaugural RCRD blog post, here are two big thoughts from Everyday Humans (like you! ), and the responses of an Everyday Roller Derby Human (that’s me). My day-job coworkers are such pillars of the customer service community, they can hold character even as I chatter on about a sport which means nothing to them. So when I mentioned that RCRD was tossing ideas around for a blog, they were incredibly encouraging. Is roller derby like Whip It? Whip It is a fun film that manages to capture much of the spirit of not just roller derby, but team sports in general. Being a member of a supportive team can create a comfortable space that blurs the line between teammate and family. The movie also offers some positive notes on unapologetically taking up space, and self acceptance. But, it’s a movie, and has a typical movie’s propensity for exaggeration. That hilarious scene in which Drew Barrymore-and-Company get clotheslined by the other team? Great for comedic value, not great for roller derby representation. Please do not go to a roller derby game expecting a blood bath. That would be bad. Very bad. Contact that would warrant a penalty in any other sport will very likely also warrant a penalty in roller derby. It is illegal to initiate contact to another human’s head/back, it is illegal to throw punches/trip/slide tackle, and if the action is egregious, the player could find themselves removed from the game entirely. The rules of contact are not a joke. Concussions and spinal injuries are not a joke. Treating it as such cheapens the careful strategy and hard work of the people on the track. I don’t know the rules. Won’t it be boring/confusing? I don’t like being bored/confused. Fair enough, Co-worker. Roller derby has a lot of rules. Like, a ridiculous number of rules. We could talk about the rules for days. Instead, if this is the first game you are attending and you don’t want to be bored due to a lack of gameplay knowledge, don’t get overwhelmed by the big picture. There will be two players on the track wearing helmet covers adorned with big stars; they score the points, and since their movements are more consistent and easy to follow than those of the other players, watch them! The blockers (aka the other players) handle offense and defense; the jammers (aka star helmets) are, ahem, for lack of a better term, the stars. Jammers have endurance for days and are usually doing something exciting; you will not be bored. RCRD also staffs their games with roller derby enthusiasts to answer any burning questions you have about what is happening in front of you. They literally hold signs saying “Ask Me About Roller Derby!” and are friendly and approachable and probably only a little bit weird. Make them earn their keep! Ask them questions! As with most sporting events, at the end of the day it doesn’t so much matter how familiar you are with the rules when you are in good company. Half the fun of going to a baseball/hockey game lies in the social aspect of an outing with friends; if Saturday night movies/game nights are beginning to become slightly tired affairs, there’s nothing to lose in trying something new and supporting local non-profit sports while you’re at it. Local derby is ready for you! Most of our derby happens during the spring and summer – check our schedule or our Facebook page for this year’s events. 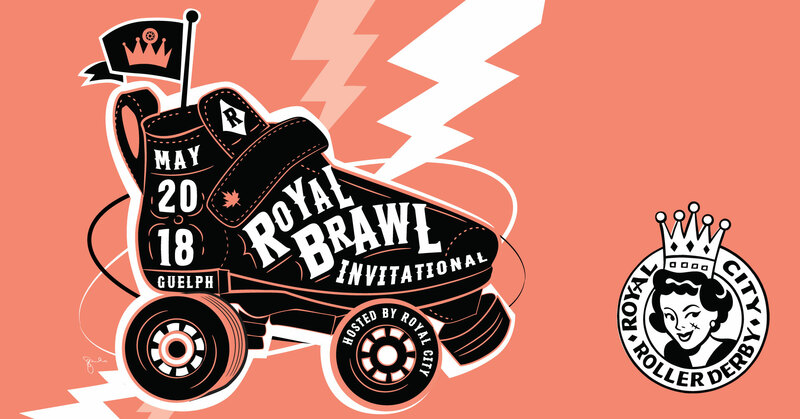 Our next event is a BIG ONE – it’s Royal Brawl, Guelph’s 2nd annual roller derby tournament, running from May 25-27! If you haven’t already bought a ticket, do it now. We’ll be in the newly renovated Victoria Road Recreation Centre. Come witness the greatness that is roller derby!